Maybe I’m crazy and all alone in this – but it never fails that a month or two after Easter a few forgotten eggs and goodies seem to pop up out of nowhere. Has that every happened at your house? I swear this is the reason I refuse to use real eggs! (could you imagine the smell? On second thought – don’t!) 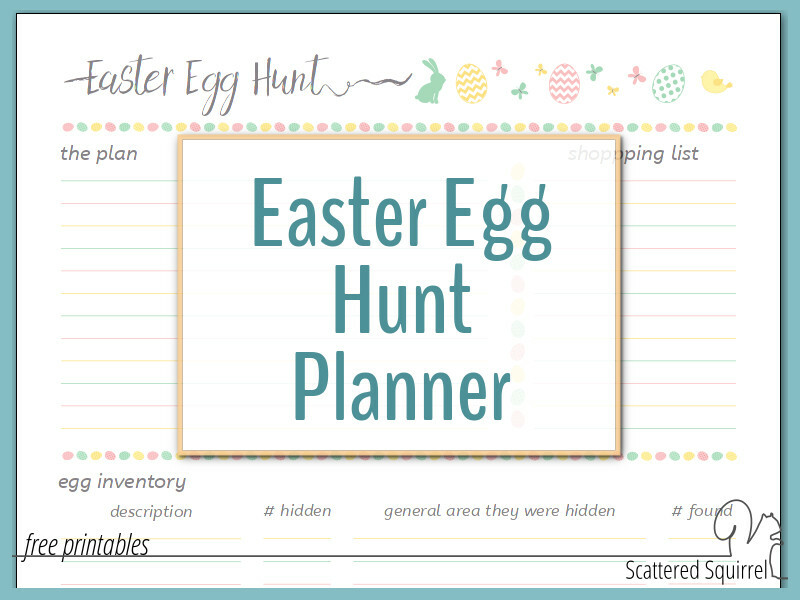 Earlier this week, in a fit of desperation, I decided that this year I wasn’t leaving things up to chance, and the Easter Egg Hunt Planner was born. It can live in my holiday planner, and hopefully (fingers crossed and knock on wood) I won’t have a repeat of this next year. Earlier this week I was tackling some deep cleaning in the living room. It’s one of those spaces that gets a deep clean fairly often because we use it so much and because I like to move the furniture around in an attempt to find a better arrangement. It never works, but I still keep trying. I promise, I’m not digressing, it’s important for this next bit that you understand that I have cleaned my living room many, many, many, many, times between last Easter and this week. I was shuffling things around when what do you think I spotted sitting so innocently under one of the couches? 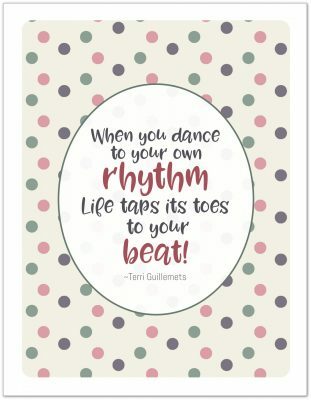 That’s right! An EASTER EGG!!! Just sitting there! How I missed it before is beyond me. I have no idea where it came from. I know the Easter Bunny didn’t bring that one as an early teaser for the upcoming holiday because it’s one of the plastic eggs that I always fill with little candies or dollar store toys before I hide them. This one had, what were once gummy candies, they had sort of petrified over the months that they lay forgotten in the egg. This was by far the worst case of forgotten egg we’ve ever had, and though I found it funny, and kind of mysterious, I don’t want it to happen again. I’m careful each year to make a mental note of where we hide the goodies, and it’s one thing to have some forgotten egg or goodie be discovered a couple weeks after Easter, but after almost a whole year and multiple cleaning, sessions was pushing it. 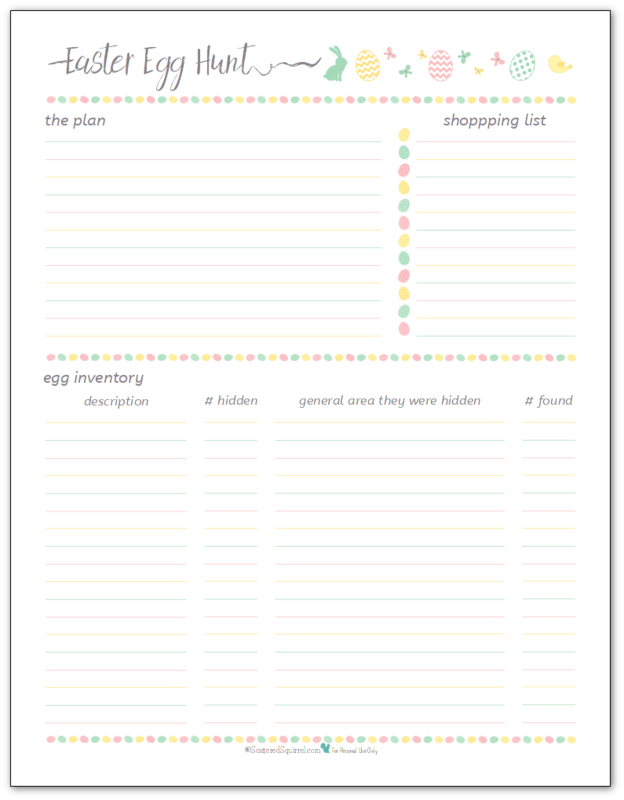 So this year I created a printable I’m calling the Easter Egg Hunt Planner. Maybe it will help keep this from happening in the future. As my youngest gets older, we’re finding we need to get more creative with our hiding places. He loves the hunting part more than the treats part, and I think that’s part of why that egg was lost for so long. (Maybe it somehow fell into the couch and somehow came out the bottom?) I think it’s becoming essential to keep track of what we’re hiding and a general idea of where we’re hiding it. So I made up the printable below to help. As per my usual, I kept the Easter egg hunt planner pretty simple. There’s room to jot down ideas and your shopping list at the top. Then comes the bottom section, which is my personal favourite. 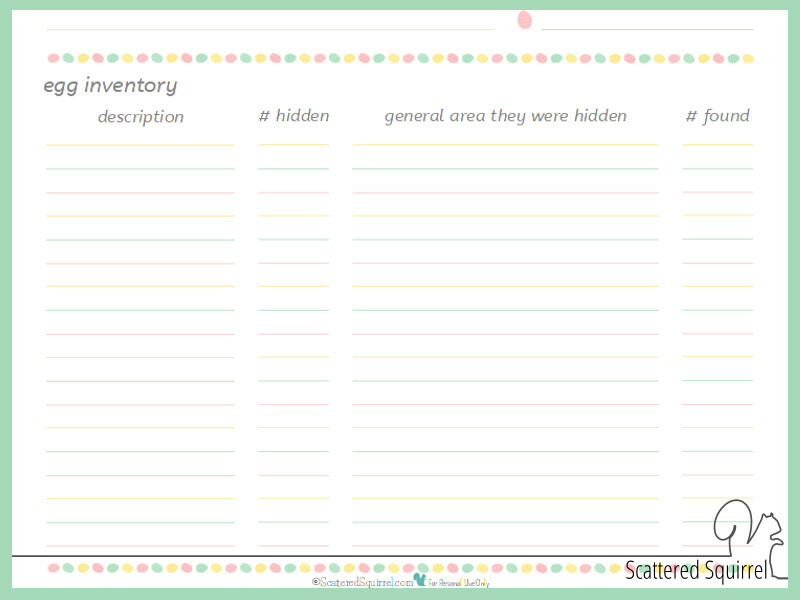 The egg inventory! There’s room to jot down the kind of treat, the number hidden, the general area where they were hidden, so you know where to go looking if the number found is too low. We try not to go too overboard on the eggs, treats, and other goodies. Often times we add in non-edible goodies to our hunt. You know I’m a bit of a bookworm so books are always one of my go-to ideas for holiday fun. There are so many great stories for each holiday, take this list of funny Easter books for boys for example! There are a ton of great titles to pick from. One of the other things I like to do is to choose a craft or two, like these Easter Bunny crafts for kids, that we can make later on that day and I hide some of the craft supplies we need. It’s fun to watch the boys (well ok, boy cause Teen is too old for this stuff) try to guess what we’re making from the few supplies they found. Now that you’ve made it to the end, tell me true – am I the only one who finds forgotten Easter eggs months after Easter? Here’s hoping the Easter egg hunt planner helps me avoid that problem this year.